KK Times Square Hotel, Kota Kinabalu, Sabah, Malaysia. It is not suprise that all our rooms come equipped with LCD tv, free Wi-Fi internet access, free shuttle bus service to major shopping center, full stocked mini bar, complimentary drinking water & tea/coffee making facility. Anything else is a touch of button away, be it airport transfer, room services, laundry services & taxicab carriage services. The convenient location of the hotel also means that one is never too far away from the centre of the city shopping districts. In addition of that the hotel also provides free parking space including basement parking and 24 hours security guard & CCTV security control. 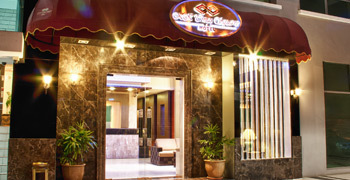 KK Times Square Hotel offers a business boutique style hotel, which is a modern & comtemporary designed with the essence of true Sabahan hospitality, Our hotel, from the courteous and friendly staffs, right up to the rooms that spell practically and comfort ability is our theme. 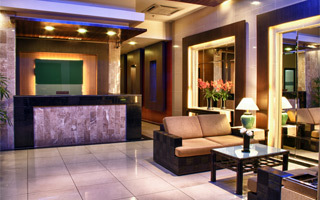 The aim of the hotel is to redefine the expectation of the guests.